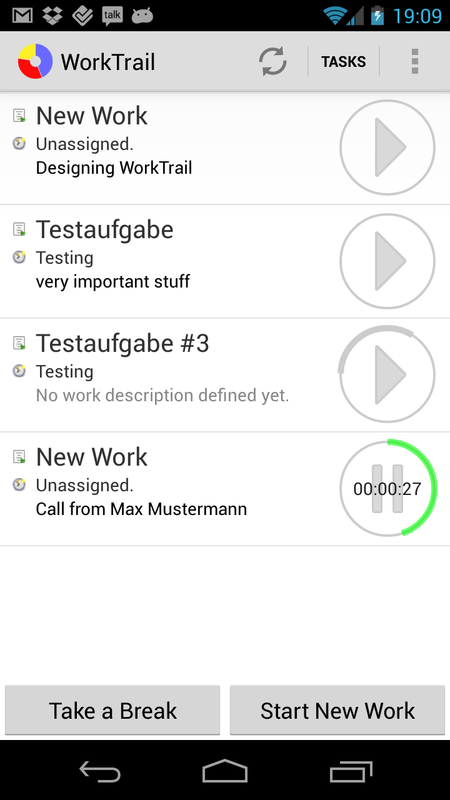 We have just released a new version for your time tracking app for iOS: WorkTrail for iOS 1.4. 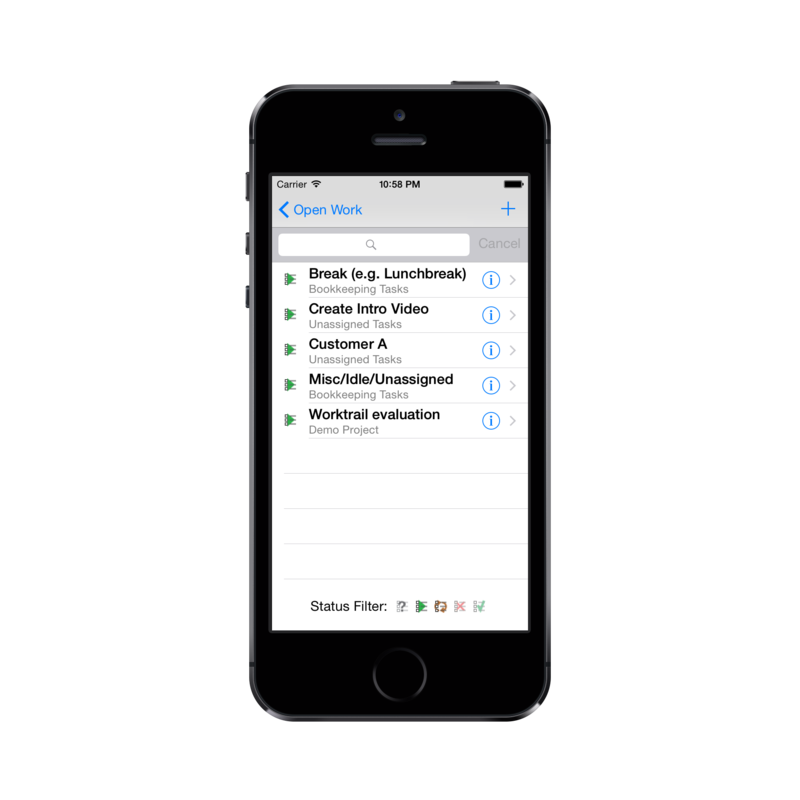 Beside adding (better) support for iOS 8 and iPhone 6 (Plus) we introduced a completely revamped task list interface which makes it way easier to find the tasks your were looking for. You can now easily filter the list by status as well as search for each individual tasks. Track your time on your mobile phone even better: See your active work at all time in the notification bar, and directly open WorkTrail. 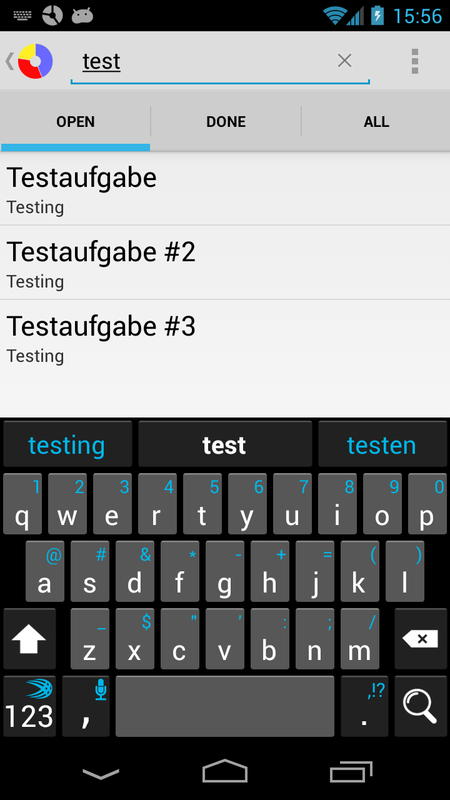 We have also improved the workflow to find and select tasks. First we have split up the task list into three tabs: Open Tasks, Done Tasks and All Tasks. You can simply swipe between them or click the Task headers. If your tasks are still too crowded, simply use the search function to filter through all your tasks. We have just released a new way to track your time easier than ever while on the go. The new WorkTrail App for Android allows users to track their time on their mobile as easy as through our web application. As always it is painless to get started, no sign up or any strings attached. Download the WorkTrail App from the Google Play Store and start tracking your work time. The App always stays in sync with your Work Stack from the web application and vice versa.